Sprint has announced the upgrade to Android 4.1.2 for its LG Optimus G. It’ll bring obvious goods such as Google Now, expandable notifications and an updated Android Beam experience, alongside the many other things unique to Jelly Bean. 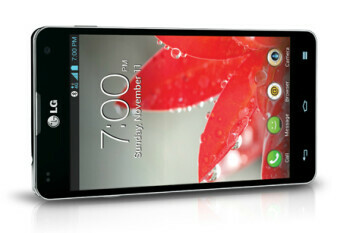 Alongside that, a bunch of changes specific to the Optimus G have been made. Sprint says you can expect a smoother user interface thanks to the Android framework doing all the heavy lifting for vsync timing, user-installable keyboard maps, an improved camera app, improved voice search, the ability for third-party launches to add widgets without requiring root access, the ability to download the QuickTranslator application from the Application Manager and more. That’s quite the hefty update, but you’re probably wondering how you can get it anyway. As usual, you can make your way to Settings > About Phone to check for the upgrade, and make sure your WiFi is on and your battery is charged to at least 50% to ensure the best and most safe updating experience.